It’s hard to believe that July is almost here but for anyone who has been hard at work planning this years family reunion find themselves scrambling for ideas. 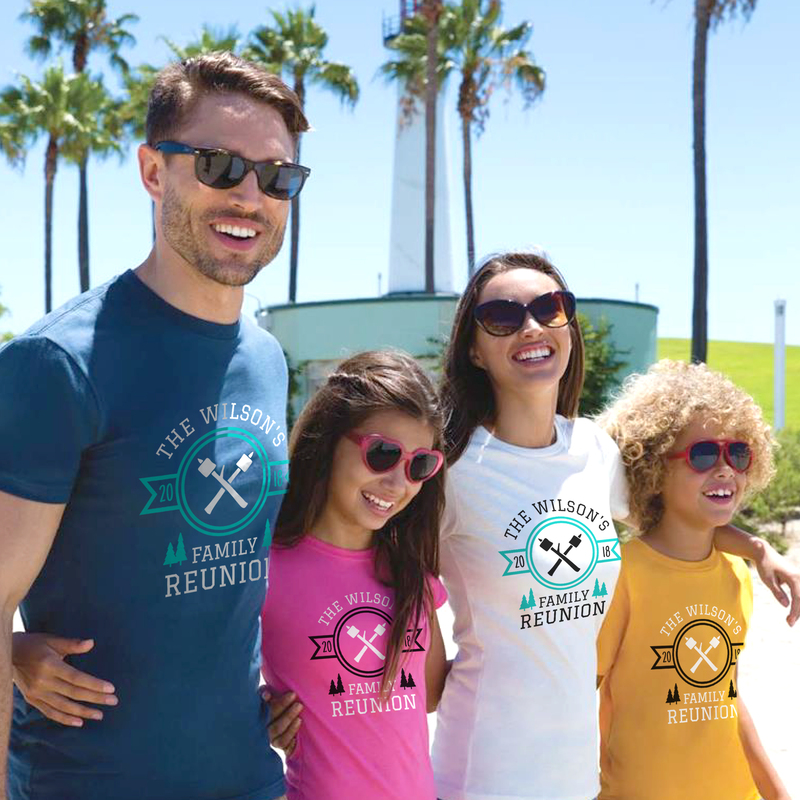 Make this years reunion one the cousins will never forget with family reunion shirts! July is family reunion month and we can see why. It’s the perfect month due to fabulous weather and all the kiddos on summer break. In general, family reunions are great excuse for cousins and grandparents to see each other and spend quality time together. Customized Girl wants to help make your occasion extra special for everyone in your family with custom family reunion shirts. We have tons of designs that you can quickly customize with everyone’s name, the year, and the location of the reunion. It’s easy to outfit all the cousins, nieces and nephews, and even the pups with Customized Girl’s group discount! As soon as you add 6 items to your cart, group discounts automatically kick in. Unlike screen printers, they don’t have to be identical. Discounts are applied to any 6 items or designs. With every new item you add to your cart, the discount will get bigger, and the price will drop. Amazing, right? 1. Choose your favorite style of shirt or if you are starting with a family reunion design you can choose the “swap out item” tab in the top right corner of the design center and choose your preferred style. Show us your family in their custom shirts with us via Facebook, Twitter, or Instagram @CustomizedGirl!